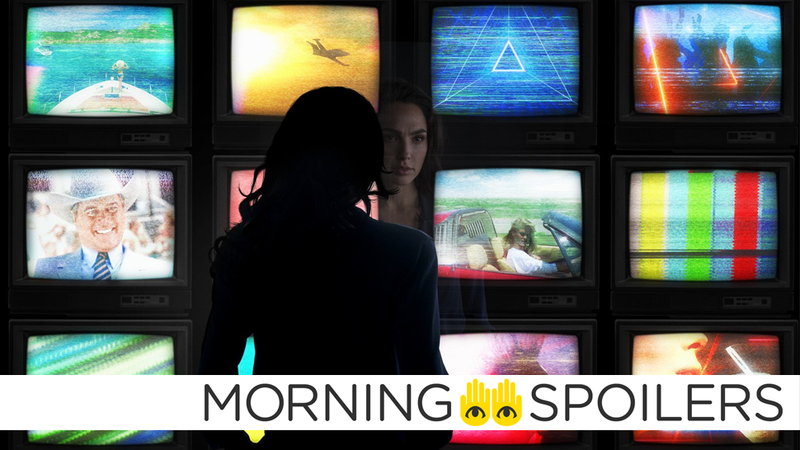 Wonder Woman’s basking in the technicolor glory of the ‘80s in her sequel movie. James Wan reveals the wonderfully simple way people will talk under water in Aquaman. Paul Rudd and Evangeline Lilly can never escape questions about where they were during the events of Infinity War. Plus, our best look yet at the new Predator design, and more footage from Preacher’s return. Spoilers get! Just after we got our first official photos of the sequel, new set photos emerged showing Diana and Steve reunited and resplendent in delightful 1984 fashion. ...and here’s one more from Reddit. Speaking with NDTV, Paul Rudd and Evangeline Lilly confirmed once and for all where their characters were during the events of Infinity War. Rudd: I remember going to see Infinity War and they do mention that I was under House Arrest and that I was not able to leave. There’s a lot going on, a lot going on. Lilly: For the record, I was there. I was just tiny. Rudd: Well maybe I was too small and you just couldn’t see me either. I feel like I just piggybacked on your joke there. People are overthinking it. They’re just gonna talk! In a recent interview with Empire, director Ruben Fleischer would neither confirm or deny if future films in the series will see the character teaming-up with Spider-Man. This feels very much like Venom’s movie. It’s the introduction of the character. As to where it will go in future movies, and who he’ll run across, I can’t say. The newly designed Predator costume is currently on display at CineEurope 2018 in Barcelona, Spain. Hiro Murai (Atlanta, This Is America) is reportedly in talks to make his directorial debut with Man Alive at 20th Century Fox, a scifi thriller based on a spec script from Joe Greenberg and David Robert Mitchell. The story concerns an isolated survivor of an alien invasion struggling to cope with his overwhelming loneliness before discovering there may be other survivors, after all. TV Line reports Danielle Nicolet, who plays Cecile on the show, has been promoted to series regular. Season three premieres Wednesday, October 31st at 10:00 pm on IFC. Speaking with Rolling Stone, showrunner Michael Schur scuttled the popular fan theory Eleanor, Chidi, Tahani, and Jason are trapped in a simulation. Coming Soon has photos from this Sunday’s episode, “Vanishing Point.” Head over there to see the rest. Finally, Tulip returns to powerslide cars in the latest TV spot for season three.